Otherwise the vaccinator icon moves to the top right corner of the Ubercharge entry in hudlayout.res no matter what. How do I move the number (or panel) that shows how much health you gained when picking up a health kit? TwistedHow do I move the number (or panel) that shows how much health you gained when picking up a health kit? [quote=Twisted]How do I move the number (or panel) that shows how much health you gained when picking up a health kit? how do i get the borders of the blue/red boxes more squared ? TFFatLineBorderRedBG, TFFatLineBorderBlueBG then either TFFatLineBorderBlueBG, OutlinedDullGreyBox or something else similar, change the draw_corner_width and height to 0. Is there any way I can make the overheal on the targetid the same as the other one? basically you can copy paste the current shadow, rename it (to shadow2 or whatever) and give it a slight offset in x and y.
Tho if its only about overhealing, i guess you will need to add something into your hudanimations aswell, but im not that pro at editing myself so i dont know where to do that. how do i remove the green critical hit text on headshots ect? Can anyone please please help me with this? I am using Min Hud. Yes, i have tried re-installing it twice. But it didnt help. Anything else i should try? Without looking at the files it looks like you've messed with something in hudlayout.res which has caused a bunch of other entities to be out of position. 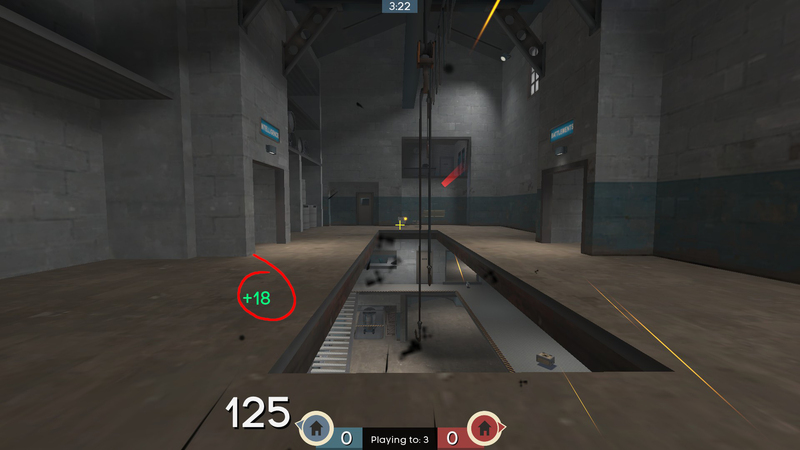 If you've made any changes to it, maybe a crosshair or something I'd suggest reverting them. Did you get the HUD straight from the github page? It's not set up for 2560x1080. The problem isn't on your end, it's the hud itself. You'd pretty much either need to look up a guide ( http://doodlesstuff.com/?tutorial=tf2hud&page=preface with its resource list would probably be good) and move the xpos of whatever misaligned elements there is yourself, or just try another hud and see if that helps any. Many thanks. It's not set up for 2560x1080. The problem isn't on your end, it's the hud itself. Thank you for the link. I will try to adjust the values of the bars and see if it works. So, I really like the ClassSelect screen from Flux, and I added it into my OMPhud setup, but the class icons are not showing on the ClassSelect screen. edit: somehow managed to make it work ????? Kinda off topic but I didn't want to make a thread. What HUD to your knowledge uses the fewest/least complicated elements. I run on the toaster of all toasters anything removed helps ie animated health crosses/shadow on text/extra elements. Kinda off topic but I didn't want to make a thread. [u]What HUD to your knowledge uses the fewest/least complicated elements[/u]. I run on the toaster of all toasters anything removed helps ie animated health crosses/shadow on text/extra elements. ProcreativeKinda off topic but I didn't want to make a thread. What HUD to your knowledge uses the fewest/least complicated elements. I run on the toaster of all toasters anything removed helps ie animated health crosses/shadow on text/extra elements. Comanglia tested a few huds for frame differences. ry4ntk ProcreativeKinda off topic but I didn't want to make a thread. What HUD to your knowledge uses the fewest/least complicated elements. I run on the toaster of all toasters anything removed helps ie animated health crosses/shadow on text/extra elements. Comanglia tested a few huds for frame differences. I wonder if you just removed like every hud animation you'd see much of a difference. Like removing flashing low ammo, low or buffed health, maybe even the round timer and just go by what the scoreboard has. 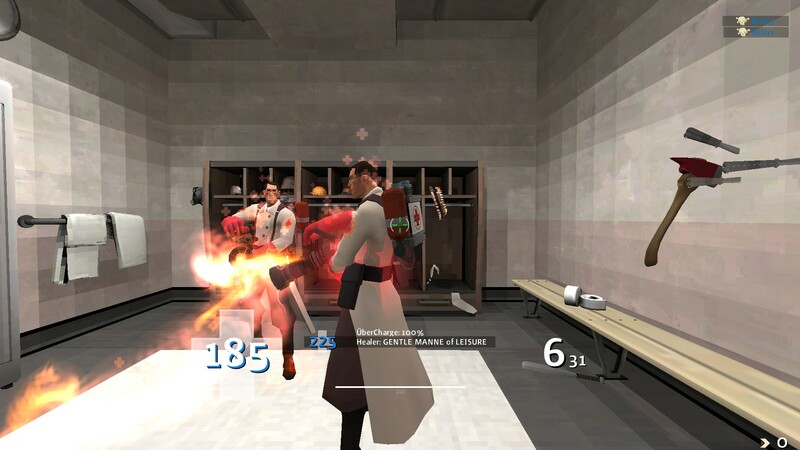 Also if you remove the health cross, the buffed and low health cross animations, no chat showing up and such. Fallen in love with MinHud but the damage numbers are way, way too big to use on Heavy. How can I make them smaller/ use a different font? Hyperi0nhow do i remove the green critical hit text on headshots ect? I know it's a bit late but this is the console command: hud_combattext_doesnt_block_overhead_text "0"
how were you to replace evans huds ammo with the health and ammo in broselhud blue? is there an updated version of knhud ?